PreGel BRASIL’s Professional Training Center in Campinas, São Paulo, offers gelato, sorbetto, and frozen dessert classes to dessertpreneurs of all skill levels. The classes provide an opportunity to learn how to be successful in the frozen dessert industry, as well as a chance to discover discover different types of machines and a vast array of PreGel ingredients. The Training Center is complete with superior equipment in the industry from Cold and Hot Process machines to batch freezers and more. PreGel México’s Professional Training Center in Guadalajara offers a complete learning experience for the specialty dessert industry. The classes cover traditional gelato and sorbetto in both Hot and Cold process modalities as well as modern soft serve. The instructors cover theory in a classroom setting followed by hands-on practice in a production lab. The Training Center offers two production stations, a pasteurizer, batch freezer, industrial refrigerator and blast freezer, and display cases. Eijido Alfredo V.Bonfil, Cancún - Q.R. 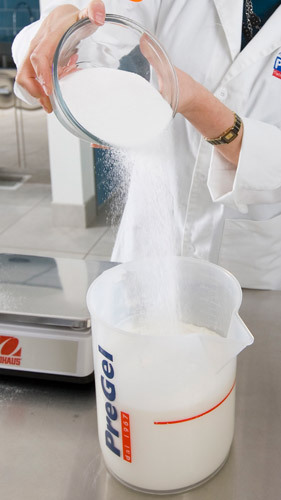 PreGel México’s Professional Training Center in Cancún offers a complete learning experience for the specialty dessert industry. The classes cover traditional gelato and sorbetto in both Hot and Cold process modalities as well as modern soft serve. The instructors cover theory in a classroom setting followed by hands-on practice in a production lab. The Training Center offers two production stations, a pasteurizer, batch freezer, industrial refrigerator and blast freezer, and display cases. PreGel COLOMBIA’s Training Center in Chia offers students the opportunity to seek their passion in the art of frozen desserts. 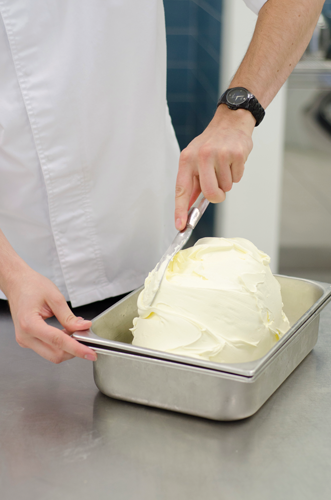 From teaching the art of sculpting gelato to perfecting the soft serve swirl, the talented staff at PreGel's Training Center ensure that students have everythign they need to jumpstart a frozen dessert concept. PreGel COLOMBIA’s Training Center in Medellín offers students the opportunity to seek their passion in the art of frozen desserts. From teaching the art of sculpting gelato to perfecting the soft serve swirl, the talented staff at PreGel's Training Center ensure that students have everythign they need to jumpstart a frozen dessert concept. PreGel ECUADOR’s Training Center is our newest facility in the historic city of Quito. The city is home to trendy restaurants, hotels and shops, making it an ideal place to visit and take a frozen dessert class or two. The instructors will provide hands-on instruction in a production lab with a pasteurizer, batch freezer, industrial refrigerator, blast freezer and display cases. From traditional gelato and sorbetto production to developing unique soft serve recipes, students will be able to further develop their passion for frozen desserts. Just 20 miles north of center city Charlotte sits PreGel AMERICA’s Professional Training Center, a state-of-the-art training facility well-equipped to fuel the passion of dessertpreneurs everywhere. Charlotte’s Training Center features three classrooms complete with a full audio and visual experience for lecture purposes, in addition to technical training stations and a full spectrum of the best equipment in the industry. 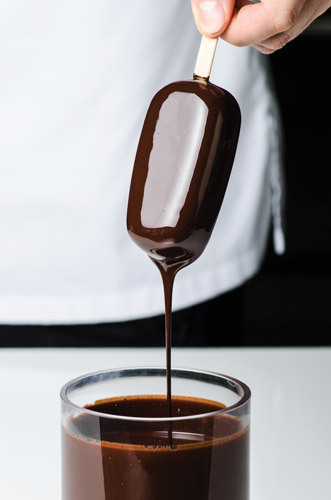 At any given moment, our trained chefs can be found teaching a class, testing and developing new recipes, creating beautiful desserts for photo shoots, or instructing private demos. 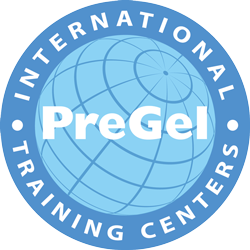 PreGel AMERICA’s West Coast Professional Training Center is located just outside of Los Angeles, offering an intimate learning experience for students of all skill levels. A more compact version of PreGel’s Professional Training Center headquarters in Charlotte, NC, our Los Angeles Training Center offers one classroom with a variety of unparalleled equipment in the industry. Up to six students can take a class at a time, allowing for individual attention from the instructor and one-on-one guidance through the art of gelato, sorbetto, soft serve and pastry. PreGel AMERICA’s Dallas Professional Training Center is located just outside of Dallas, offering an intimate learning experience for students of all skill levels. A more compact version of PreGel’s Professional Training Center headquarters in Charlotte, NC, our Dallas Training Center offers one classroom with a variety of unparalleled equipment in the industry. Up to six students can take a class at a time, allowing for individual attention from the instructor and one-on-one guidance through the art of gelato, sorbetto, soft serve and pastry. PreGel AMERICA’s Chicago Professional Training Center is located just outside of Chicago, offering an intimate learning experience for students of all skill levels. A more compact version of PreGel’s Professional Training Center headquarters in Charlotte, NC, our Chicago Training Center offers one classroom with a variety of unparalleled equipment in the industry. Up to six students can take a class at a time, allowing for individual attention from the instructor and one-on-one guidance through the art of gelato, sorbetto, soft serve and pastry. PreGel CANADA’s Professional Training Centre located just outside of Toronto, Ontario, features a complete classroom with technical training stations, a gelato batch freezer, Hot and Cold process machines and a display case. 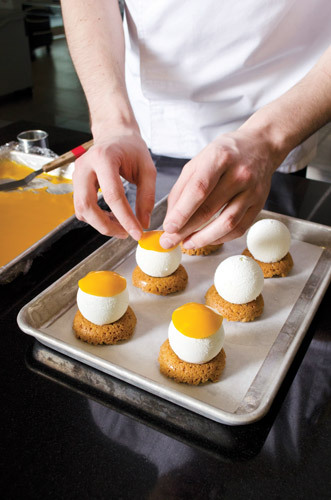 The skilled instructors teach the techniques, theory and hands-on side of frozen desserts. PreGel CANADA’s West Coast Professional Training Centre located just outside of Vancouver, British Columbia, offers an intimate learning experience for students of all skill levels. Similar to PreGel’s Professional Training Centre in Toronto, Ontario, our Vancouver Training Centre offers one classroom with a variety of unparalleled equipment in the industry. La formazione è un servizio fondamentale nel nostro settore, un servizio che PreGel offre da molti anni ai suoi clienti ed investitori in tutto il mondo. Il compito principale dell’azienda, infatti, è innanzitutto quello di supportare i propri partner commerciali offrendo loro gli strumenti e le competenze per aiutarli a sviluppare attività redditizie e di successo. Per far questo, tuttavia, non è sufficiente offrire prodotti di alta qualità ed idee innovative: è altresì necessario proporre una formazione completa ed aggiornata, sia teorica che pratica, sull’uso dei prodotti e su tutte le loro possibili applicazioni. Con questo obiettivo è nato il progetto dei PreGel International Training Centers (ITC), non una semplice scuola di gelato localizzata in un’unica sede, ma una serie ramificata di istituti distribuiti in tutto il mondo, in grado di offrire a tutti i suoi studenti le conoscenze professionali indispensabili per eccellere nel settore. Gli International Training Centers (ITC) sono oggi una realtà globale che offre una formazione completa e diversificata: i corsi di gelato e pasticceria sono studiati per soddisfare le necessità ed i bisogni sia dei professionisti esperti che di chi si affaccia per la prima volta a questo settore. Gli ITC propongono programmi didattici di alto livello, garantiscono metodi di insegnamento consolidati che combinano lezioni teoriche in aula ad un’intensa attività pratica in laboratorio, ed offrono corsi “5-Star Pastry Series” tenuti da insegnanti riconosciuti a livello internazionale. In Italia, la scuola ITC si trova nella sede principale di PreGel a Reggio Emilia, mentre gli altri centri di formazione sono localizzati presso le principali filiali dell’Azienda. Tutti i centri propongono corsi di formazione in lingua adattati al mercato di riferimento, in modo da interpretare i gusti ed i trends specifici delle differenti aree geografiche.